This is the first sentence of the 14th Amendment which Donald Trump and now, apparently, several other Republicans want to repeal. Let us understand the original historical context of this amendment and its opening words. 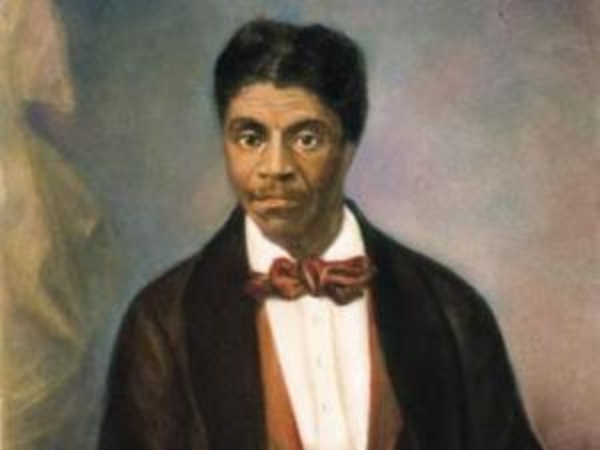 It was first and foremost the repeal of the Dred Scott decision, wherein the US Supreme Court had decided that black people are not citizens. There is an otherwise obscure US racist group calling itself the Posse Comitatus, which back in the 1970s and 1980s pioneered a theory about the US Constitution. They argued that since former Confederate states were forced to ratify the 13th, 14th and 15th amendments to the constitution as a requirement before being readmitted to the Union, those amendments and all that has flowed from them are null and void, as are all later constitutional amendments. This theory, with a bewildering variety of mutations, was widely adopted by Ku Klux Klan, “patriot” militia, “sovereign citizen” and other far-right movements. Now versions of it are embraced by perhaps one-third of the Republican base. The right-wing groups that buy into the Posse Comitatus “constitutional” theory or one of its variants do tend to be more vocal in their condemnation of the 16th Amendment, which allows the graduated federal income tax. Of course. Let us look at what is real about pregnant women coming to the United States to give birth, and about births to non-resident foreigners and women who are in the United States illegally. When we do that, we first find a lot of statistics not kept in readily available fashion and what we know makes the term “anchor baby” so wildly inaccurate as to be not only a pejorative slur but also a monstrous slander. And then let us consider what could be done about the “problem,” if it is a problem. Recently Uncle Sam shut down a series of operations in the Los Angeles area, wherein rich Chinese women would pay large sums of money to get visas to visit the United States, fly in legally, stay at a set place until ready to give birth, have their child in the USA, stay a bit longer to get the baby’s US passport in order, then fly back to China. I have known of Panamanian women with visas to come and go in the USA who have made a point of it to have their kid in Miami rather than Panama City. Where is the “anchor” stereotype in these situations? The Chinese women in the scam the feds shut down all along intended to return to China, but then, in 18 years or so, the kid wouldn’t have to deal with the vagaries of getting a visa if she or he wanted to study, live or work in the USA. (Lazy suburban rich white kids at elite universities might have reason to complain about another Asian who’s better prepared and will study more setting the curve in the advanced math or physics class — they don’t get much sympathy from me.) Birth in the USA by way of this scheme can be addressed without repealing or changing the 14th Amendment, but in any case it is not about the family staying. The Panamanians with visas to come and go? Those are usually granted on the basis of wealth, famous talent or the family’s political connections. The woman who legally chooses Miami over Panama City as a place to give birth does not need an “anchor” — she has a visa to be in the USA anyway. People who slip across the US borders — it could be and often is the Detroit River rather than the Rio Grande — to live and work without the papers to allow them to do so legally DO form families, have children and so on. Overwhelmingly, these people come to work and try to stay out of trouble to avoid deportation. When there are an estimated 11 million undocumented foreigners in the country, they are going to have a certain number of kids. In a country of more than 320 million it really isn’t an important percentage. One has to be 21 years old to be a US citizen sponsoring a relative who is not a citizen moving to the United States. So, if there is a problem, what might be done to control it? Well isn’t THAT yet another playing field for the far right to advance another part of its agenda, the control of women’s sexuality? So, a famous Panamanian model, perhaps certified foxy by no less than Donald Trump, goes to the United States on a legal visa to work in her field. Are the feds going to come around visiting her every month or few months, forcing her to undergo pregnancy tests and kicking her out of the country if she tests positive? Are they going to do that to young Panamanian women studying at US universities? Is Disney going to lose a percentage of its foreign theme park visitors because US authorities are going to want to do pregnancy checks before female would-be foreign tourists step on the plane? Are all female non-citizens present in the United States to be required to report every so often to pregnancy testing centers, which have holding cells for those testing positive and to be deported? Times change. In 1776 Thomas Jefferson wrote and the founders of the United States signed a Declaration of Independence that in its opening paragraph pleaded “a decent respect to the opinions of mankind.” But world opinion also evolves. Yes, there are countries without birthright citizenship, but the world increasingly looks askance at such jurisdictions. However, bedrock Republican ideology these days — certainly that for which Donald Trump stands — is a sneering disregard for world opinion, an America in the role of sticky fingered global bully at war to control everyone else’s assets, an America that wears national, racial and gender double standards on its sleeve. Now that the bulk of US manufacturing has been exported, that’s an America left perilously isolated from the world economy, an America whose citizens are likely to be despised and harassed whenever they go abroad, an America likely to be militarily overwhelmed in the end by the majority of the world’s population whom America has insulted. That’s what the attack on the 14th Amendment means.